However, if treated effectively, then it gives the patient reduced dry eye symptoms, enhanced eye comfort, and a clear sharp vision. Dry eye syndrome gives irritation and inflammation to the eyes. Dryness and inflammation occur to the cornea in the eye. This is known as Keratitis Sicca. Along with Keratitis Sicca, damage can also be caused by the front part of the eye. Dry eyes syndrome is highly prevalent and it is one of the major reasons for eye disorders because your eyes do not produce sufficient tears to keep your eyes moisturized well and act as a protective layer to the eyes. Tears protect your eyes from dust particles and foreign bodies. Dry eye syndrome may be a result of the LASIK or the Cataract surgery. What are the symptoms of the dry eye syndrome? A watery eye here is a contradictory symptom for the dry eye syndrome. 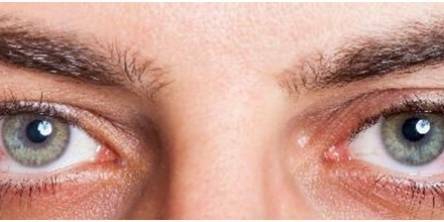 Watery eyes can occur as a result of the dry surface of the eyes. This dry surface creates over-production of tears in the eyes to balance the dry eyes and give a protective layer to the eyes. But, these reflexive tears do not stay on the eye’s surface for a prolonged period. These reflexive tears also do not help in curing the dry eye syndrome naturally. The sensation of having something in the eye means that there is a false feeling of a ‘foreign body’ or particles being there inside the eye. This may cause the person to rub their eyes resulting in red and itchy eyes or any other symptom of dry eyes being aggravated. What are the solutions and treatment of the dry eye syndrome? Lubricating eye drops that increase your eye moisture are a common way for treating the dry eye syndrome. Artificial tears are also an alternative here. Artificial tears with low viscosity or high viscosity can be used after prescription from the doctor. Medicine like Restasis is commonly prescribed for treating the dry eye syndrome. This is a daily use prescription eye drop that increases the number of tears in the eyes naturally. It also reduces inflammation and keeps the eyes moist. Alternative medicines include Cholinergic like Pilocarpine. Medicines help in producing tears naturally. A balanced diet will also keep your eyes healthy. Here, omega-3 essential fatty acid supplements are often prescribed by doctors to enhance the oil content of the eye. Your doctor may recommend corrective surgery when other treatments are not successful. Surgery aims at plugging the holes in the eyes to store an adequate amount of tears inside. Here, drainage points in the inner corners of the eyes are filled to avoid tears to flow out. Other treatment options- Plugs, blinking frequently, reducing time spent on computers, smartphones, and laptops, removing eye makeup thoroughly, using protective glasses etc.